Pet friendly room for medium to large dogs, with an enclosed pet yard! 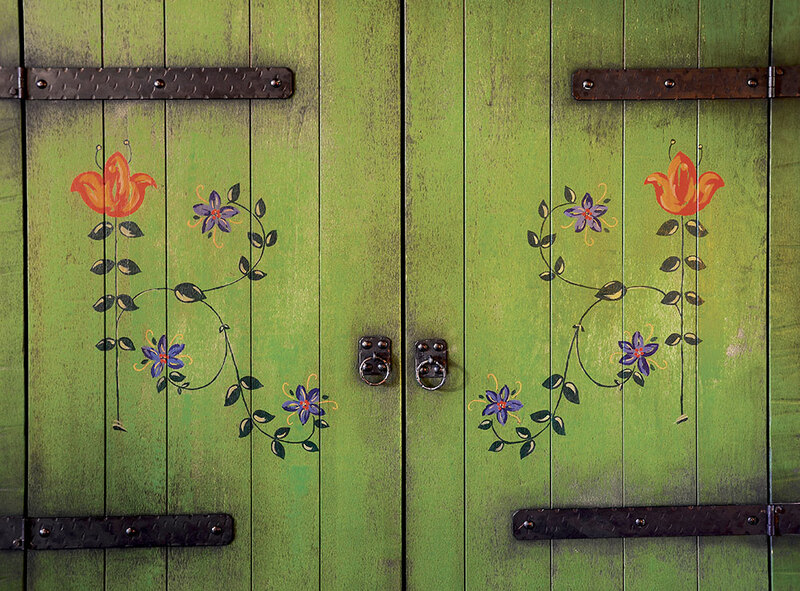 This lighthearted suite is decorated in the Early California/Monterey style with furnishings created by artist and renowned furniture designer Warren Hile. 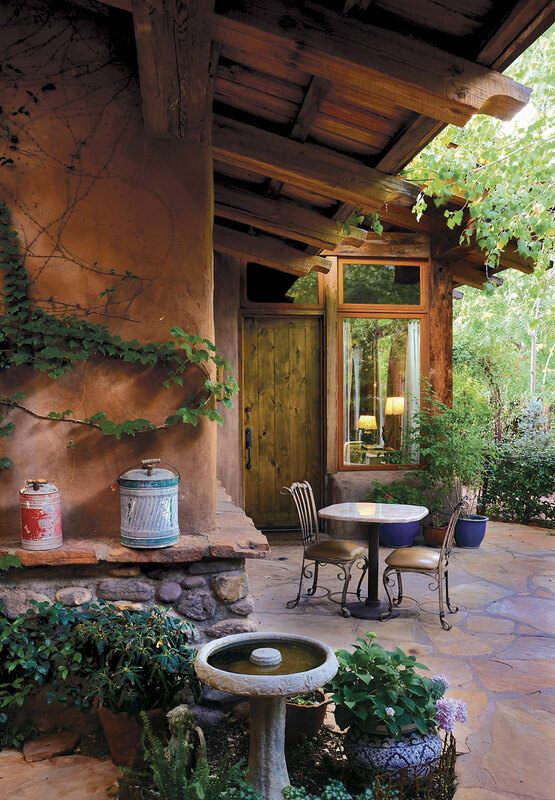 The rustic and distinctive room features a river rock fireplace with plastered adobe hearth and banco, which wraps around a large and airy bay window and door with a private entry garden court beyond. 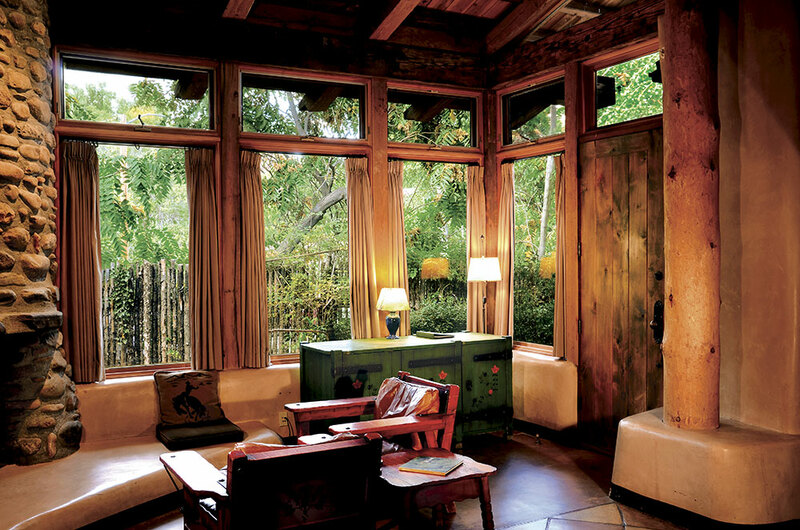 This El Portal suite has a king-sized bed flanked by bedside lamps and artwork. 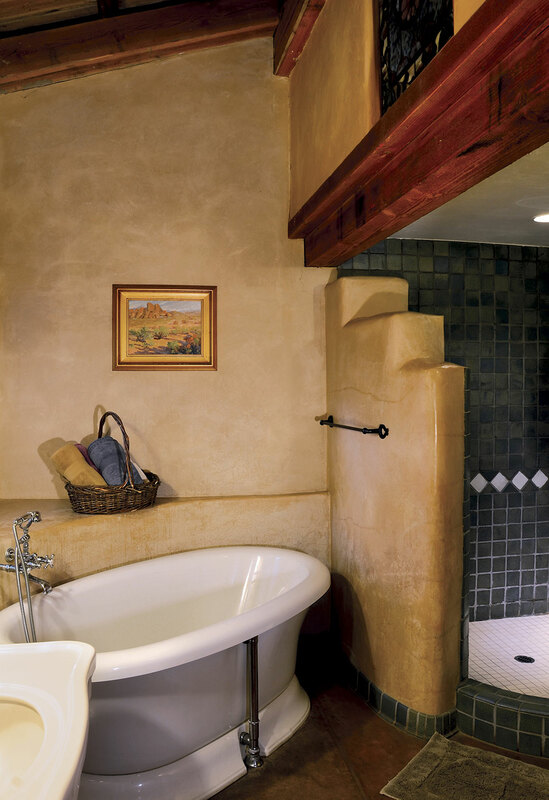 The bath features a shower with adobe surround, stained glass accents and a whirlpool claw-foot tub. 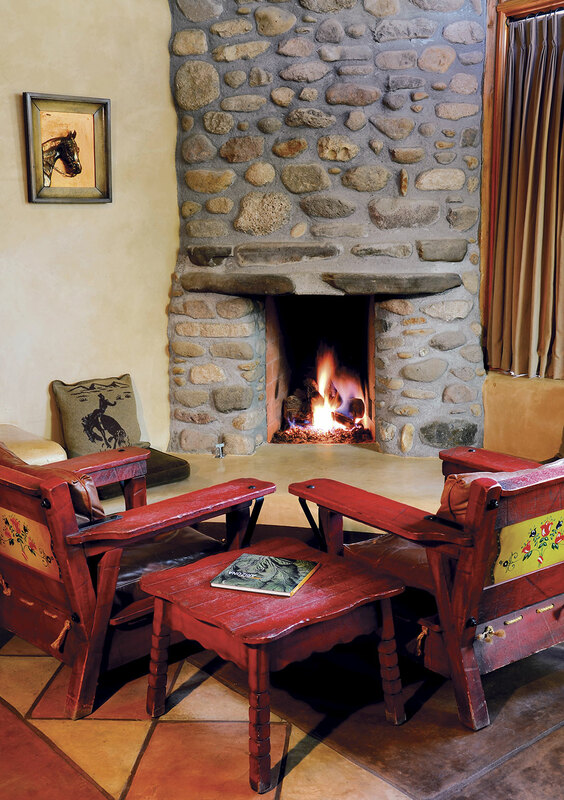 This suite, situated by itself at the far corner of the inn is extremely private, and is one of our pet friendly rooms with a private fenced patio next to the room.